"VC#.NET In Easy Steps" is a set of C#.NET Tutorials which helps you to learn C# quickly, using real time short videos. Using this C#.NET Tutorials anybody who has knowledge in basic object oriented concepts can easily master C#. These C#.NET tutorials are divided into 9 lessons. Each tutorial is explained in detail with examples containing both source code and video. By practicing the examples in these C#.NET tutorials anybody can become confident in C#.NET . A project work is also provided at the end to ensure your excellence. These C#.NET tutorials will help you to learn C# yourself and you will become confident in developing real world applications in VC#.NET within a few hours. 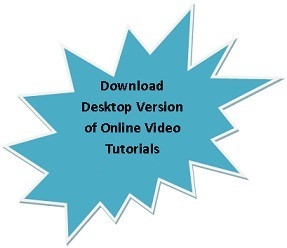 It is recommended that first you go through all the videos in these tutorials. Then you will get an idea about how things can be done in Visual C# .NET. After that, come to each tutorial in a detailed manner by viewing the videos more than once and experimenting through the source codes.